If you are looking for a sophisticated hen party in the West Country, or a unique special birthday party celebration or we have just the thing at Lesley Waters Cookery School. Nestled in the heart of the Dorset Countryside, we offer a fantastic range of special events for a truly memorable day. Designed to inspire and entertain, with step by step instruction by Lesley, delivered in her quirky and relaxed style. This is the ultimate cook day. Includes lunch and a glass of wine and recipe pack. We can accommodate larger numbers. Please call Liz on 0844 800 4633 to discuss. Similar to the premium hands on day, but just a bit shorter! Same fantastic entertainment, but you choose the time of day. Includes lunch, a glass of wine and a recipe pack. Sit back and relax while Lesley demonstrates and inspires you with a fantastic array of dishes. You will pick up great ideas and numerous professional hints and tips. 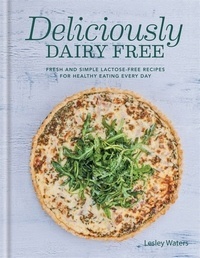 Includes a grand tasting, glass of fizz and a recipe pack. A mini hands on course/demo day, with a sit down 2 course lunch/dinner. 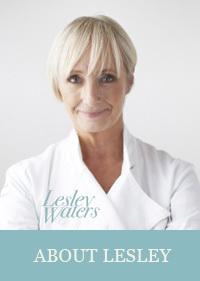 You will relax and watch while Lesley inspires you by demonstrating your dessert. After this, you will cook your own main course, under the expert tuition of Lesley and the team. You will then sit down and enjoy the meal you have created, accompanied by a glass of wine. More than the Cook it! Eat it! sessions, with more hands on cooking (but less time to eat after!). This is a wonderful new course which combines both hands on cookery and demonstrations, where Lesley will teach guests how to make a classic dish like soufflés or choux pastry or skills like filleting fish or boning and stuffing a turkey. The workshop will end with a grand tasting of all the dishes cooked and demonstrated. Come for a 3 course lunch or dinner here at the cookery school for a fabulous dining experience. Lesley will be serving seasonal local produce in a relaxed, homely style and will be available throughout the meal to chat through the menu. 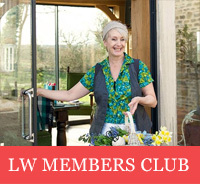 Includes a demonstration by Lesley, complimentary glass of fizz on arrival and coffee. Up to 24 people can be accommodated and will have exclusive use of the cookery school and a totally bespoke menu. A fabulous way to experience one of Lesley’s inspirational demonstrations and indulge in a delicious vintage afternoon tea. Included is a glass of fizz and a selection of Lesley’s favourite modern and traditional treats, including sandwiches, scones and sweet treats. These are just a sample of the types of events we can hold for you here at the cookery school. Please call us if you have other requirements, such as product launches, breakfast meetings or mini conferences and we can tailor the event to suit you and your budget. * Minimum number of guests. Please note that formats will vary depending on numbers. If you would like to have a slightly longer stay here in the West Country please talk to us. We can recommend several lovely hotels. In addition, Dorset and Somerset boast a wealth of stunning National Trust Properties and beaches. If you want to make it a real foodie experience, we can put you in touch with some fabulous local food producers – from smokeries to cider makers, all on our doorstep. "A massive thank you to Lesley, Jacks, Sue and the girls last night for the most wonderful celebration cook and eat for John and Gina 60th birthdays! A fabulous night was had by all, English and French, all still laughing and chatting about it today....and still full up!! Had strudel for breakfast and just had the blackberry and apple crumble for pud, delicious! THANK YOU for making it a very special and memorable night." "Lesley and team, it was one of the most wonderful experiences I've ever had. I enjoyed every second, never mind every minute!" "We had the most enjoyable time, learnt so much and returned home with great enthusiasm. And what great fun - we laughed all the way home." "I wasn't really sure what to expect but thought the day was delivered brilliantly, professionally and with a very personal touch by everyone at the school. Lesley's passion for food shone through the whole day and inspired us all. I thought the decor, the friendliness and the informality were absolutely spot on!" To discuss the options available in more detail please contact Liz on 0844 800 4633 or email info@lesleywaters.com.